Greenhills Hotel has just got greener! This beautiful red sandstone mansion was built in 1804 and sits on 9 acres of land in Wigton, Cumbria. The hotel is a favourite with people in North Cumbria and is renowned as a wedding venue and conference facility. The hotel recently completed a major heating upgrade and installed 2no 199kw E-COMPACT Boilers to replace the old oil fired systems. 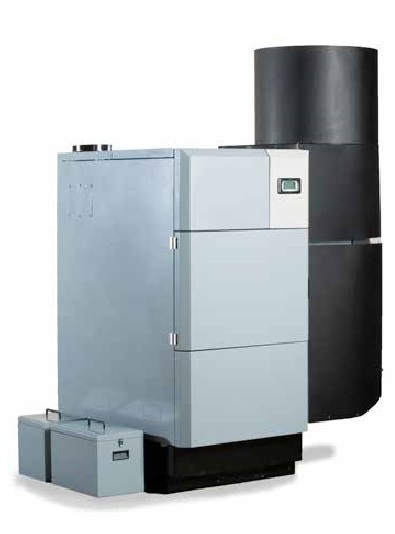 The E-COMPACT Boilers were installed in two separate EcoCabins, comprising of boiler, buffer tank and controls. A single 17 tonne fuel store supplies the fuel to both boilers via a Twin Flex Auger System. One of the boilers is responsible for providing the heat to the main hotel and the other boiler will heat the function room and conference facilities. 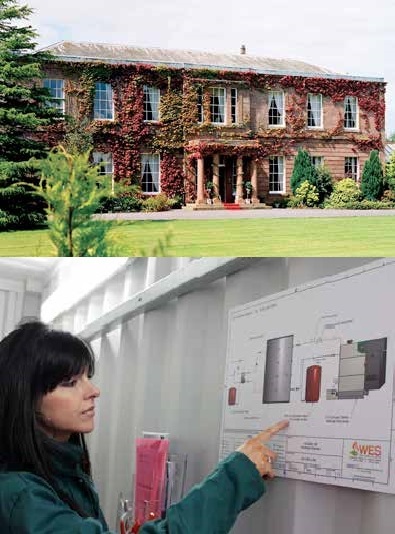 The hotel can expect to earn in excess of £20,000 on RHI payments from each boiler. Pellet fuel heating was chosen as it is the most convenient form of biomass heating and a plentiful supply of fuel delivery companies in the north west of England.